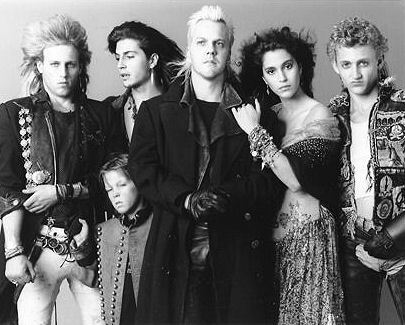 Rare Pictures. . Wallpaper and background images in the The 迷失 Boys Movie club tagged: the lost boys 1987 image vampire movie kiefer sutherland. This The 迷失 Boys Movie photo contains 伴娘, 荣誉女仆, and 伴娘伴娘. There might also be 晚宴礼服, 正式的, 晚礼服, 正式晚礼服, 吃饭时穿着得体, 正式的晚礼服, 花束, 胸花, 波西, 香奈儿, 捧花, and 铭文.